Ooh, woman and a woman, them are silly games you play, yeah. Dealin' with your troubles drove me away. Ooh, well a sayin' that you're leavin', I don't wanna hear that talk. outta love (outta love) again, (outta love) once again. Ooh, lovin' and a livin' and a treat me like a fool. You're doin' all you can to make me sad and blue. "Well, I'm feelin' better now that we're through. Feelin' better, baby, I'm over you. I learned my lesson, baby. And it left a scar...."
yes its love in the third degree...."
"ou better call me a doctor. Somebody get me a doctor...."
"I've been sitting here 'bout half the night. I think I'm gonna jump up...."
takin' chances. We're the crash and burn. a love cross the line where none return...."
"We was broke and hungry on a summer day. They sent the sheriff down to try and drive us away. We was sittin ducks for the police man. 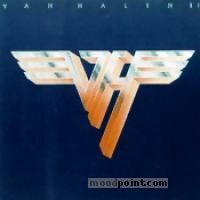 They found a dirty faced kid in a garbage can...."
But do as you feel..."
Well, they say it's kinda frightnin'..."
if you want to see other song lyrics from "V.H.-2" album, click "Van Halen Singer" and search album songs from the artist page. 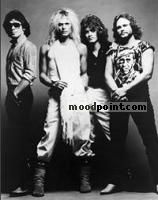 If you know some new information about Outta Love Again, or other song from our site, that isn’t already on song page, please let us know, Any refinement, news, or comment is appreciated. If information about Outta Love Again, or any song from moodpoint directory is wrong, please contact us and write where the incorrect data should be replaced by correct data. Use "Find Lyrics" box on our site, try to use different artist or (and) song title(ex: Outta Love Again) word forms.